Very Good. Beautifully written, accessible and provocative, THE END OF FAITH is an impassioned plea for reason in a world divided by faith. 336 p.
Very Good. Trade paperback (US). Glued binding. 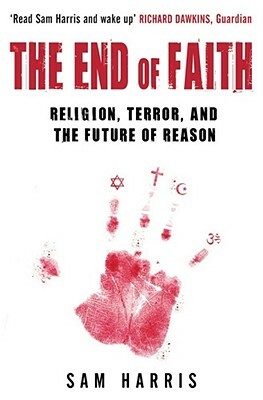 348 p. "The End of Faith articulates the dangers and absurdities of organized religion so fiercely and so fearlessly that I felt relieved as I read it, vindicated...Harris writes what a sizable number of us think, but few are willing to say. "-Natalie Angier, ? New York Times. Good. Beautifully written, accessible and provocative, THE END OF FAITH is an impassioned plea for reason in a world divided by faith. 336 p.
Very Good. 336 p. Presents an analysis of the clash of faith and reason. This book offers a history of mankind's willingness to suspend reason in favor of religious beliefs. Exploring spirituality as a biological, brain-based need, this book calls on us to invoke that need in taking a secular humanistic approach to solving the problems of the world.